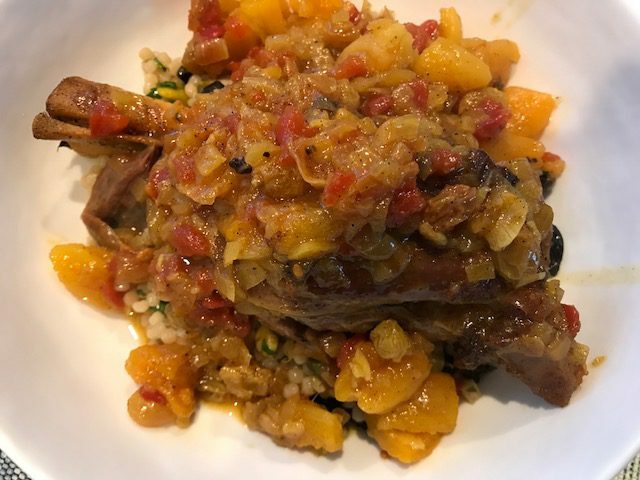 Posted on 16 March 2018, in Cook The Book Fridays, my paris kitchen and tagged Cook The Book Fridays, couscous, lamb, my paris kitchen, sides, tagine. Bookmark the permalink. 8 Comments. Whoa. Howard ate fruit and meat???? I am impressed. The snow has been insane. We haven’t loved it but the dog has been having fun. The entire time I was thinking “what is Betsy going to do?? ?” How terrific that Howard enjoyed it!! I’m with you. I would have enjoyed a different combination. But it was interesting to make. Does look very beautiful. That’s marvellous! Now Howard cannot say that meat and fruit are taboo. It sounds amazing – I love meat and fruit together. Haha, that’s great Howard liked it!! Love the title of the post, too. :) I finally found lamb shanks this morning–of course they appear AFTER the post is due. I’m looking forward to trying this based on most people’s reactions to it! Betsy, I’m sorry to tell you, but there’s a possibility you all might get a 4th Nor’easter. I saw it on weather.com today. My condolences for your late spring. I don’t know whether I should say, “good for you, Betsy,” or “Yea, Howard.” I am sorry to have missed this recipe because I love lamb. However, even I don’t know if I would like the sweet sauce. 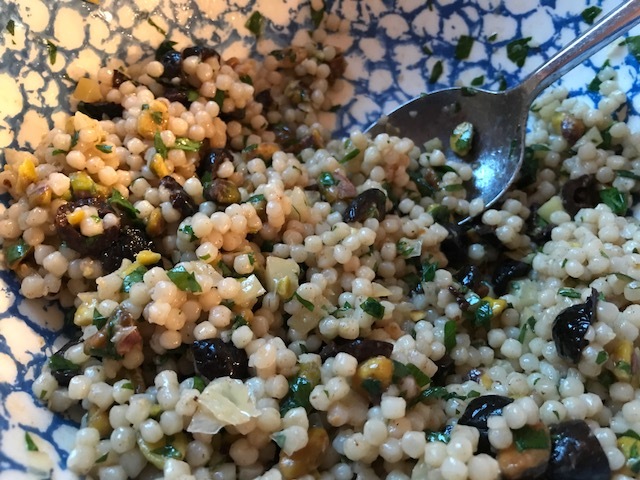 I really like the taste of lamb so would be hesitant to try to kick it up a notch or two.The couscous sounds delicious and I like the olives instead of fruit substitution. I have been thinking of you and the snow (It snowed in Paris today.) although I didn’t know if you had returned from the South or not. I wish you could send some snow out West. I agree with Katie on the title. I always remember that commercial, cute. 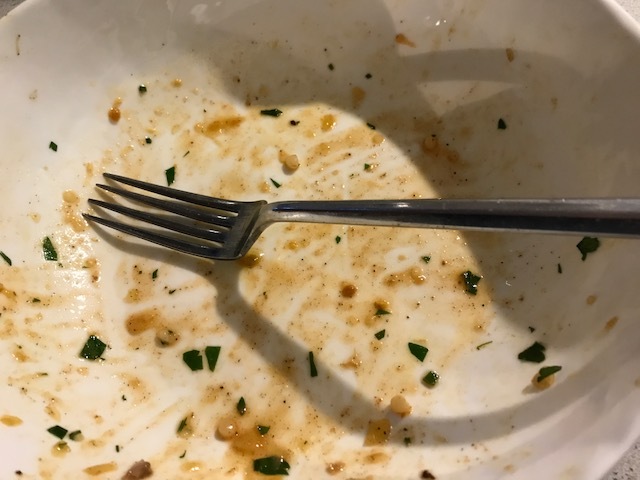 Your lamb shanks look so delicious, and now I’m sorry I didn’t try the couscous, because yours looks great. 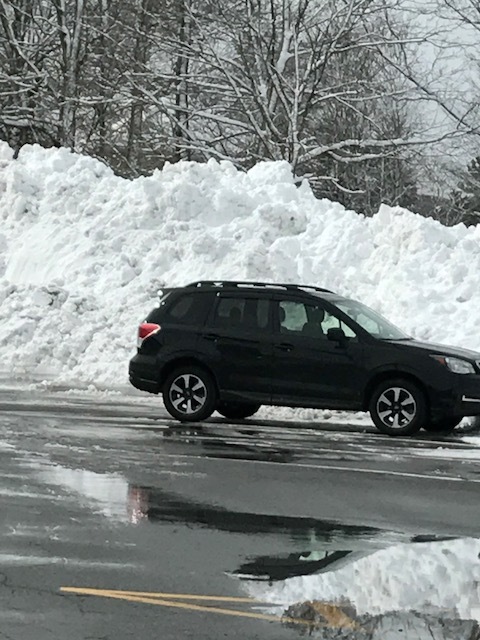 That is some pile of snow, we have been pretty lucky, not much more than four inches at a time, and it goes away quickly. That works for me.